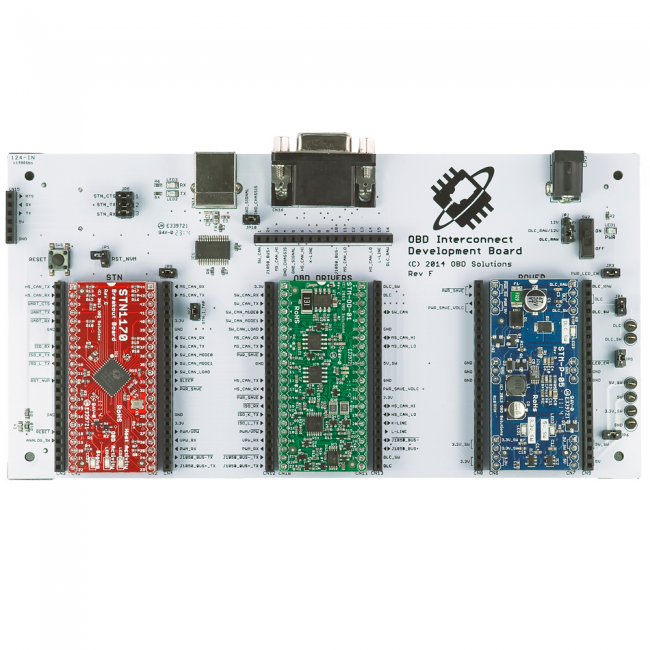 The OBD Development Kit is a modular development system designed to speed up the development of devices that interface with the OBD bus. It consists of the Interconnect Board, three removable modules (Power, OBD Drivers, and STN OBD IC), and an OBD cable. 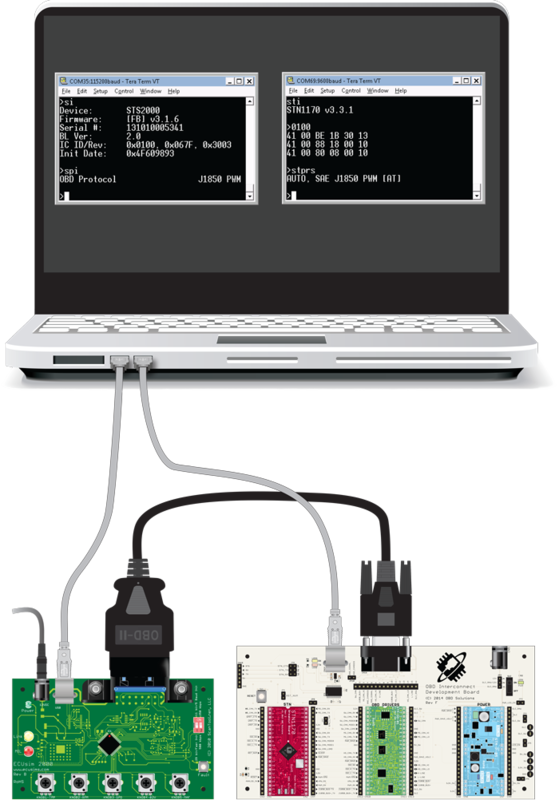 As-shipped, the kit is a fully functioning OBD-II to USB interface that supports all OBD-II protocols and works with any ELM327-compatible software. 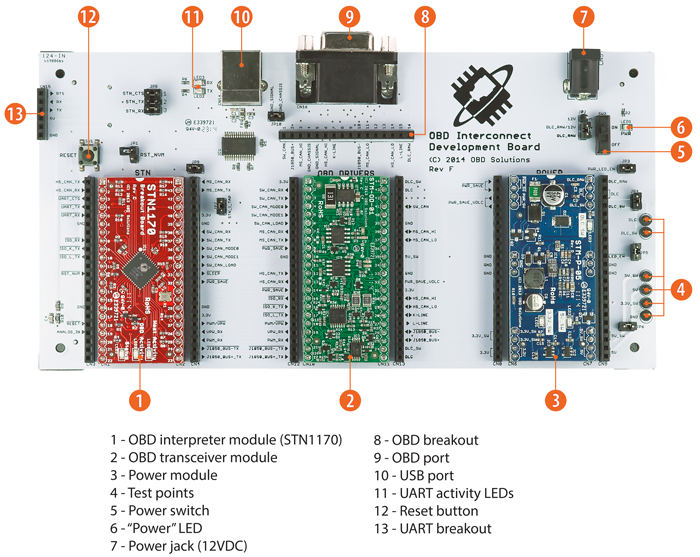 The Interconnect Board features UART and USB interfaces, an OBD breakout with access to all all 16 OBD port lines, three module slots with breakout headers, and a number of configuration jumpers and test points. The unique modular design offers considerable flexibility, allowing engineers to quickly evaluate, prototype, and verify the major circuit blocks.